Some people question whether dedicated gaming devices like the 3DS or Vita can find audiences when the iPhone and Android handsets offer games experiences and so much more. Sony CEO Andrew House's answer? "Look at Nintendo!" "I think that shows that there is, in general, a lot of demand for a gaming primary portable device, which is how I would describe Vita"
House goes on to the note that his company's upcoming gaming will have "much more to offer." Like two sticks. Of course, the 3DS' launch was a rocky one, hampered by a prohibitive price and limp launch library. Nintendo's 3D wonder only found its momentum after a giant price drop followed up by games from its A-list first-party franchises. 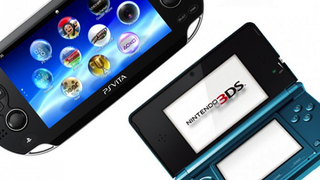 The Vita's launching at the same price the 3DS did but with, in my opinion, a much stronger software offering. We'll see how they fare when the device debuts in the U.S. next month.